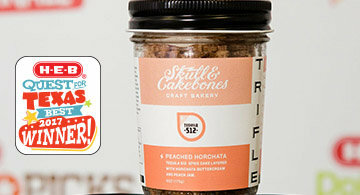 For the last five years, H-E-B has set out on a quest to find the best in Texas—the best local products made by Texans! From the Panhandle to the Rio Grande Valley, from West Texas to Beaumont, the H-E-B Primo Picks: "Quest for Texas Best" is an open call for locally-owned, small food and beverage suppliers to have their items considered for placement on H-E-B shelves and $25,000 in your pocket! 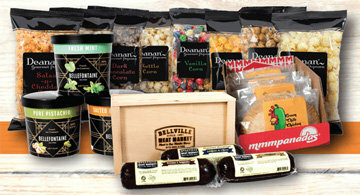 The online submission is now closed for 2019; thank you to those contestants that have entered and we look forward to reviewing your products! 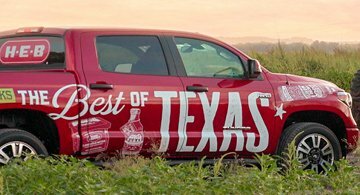 Join Bruce Bowen and us on a road trip of delicious proportions across the Lone Star State, getting a behind the scenes look at the Texas products you love and the Texans who create them. 2018 grand prize winner, mmmpanadas is a locally-owned, artisan empanada-maker that focuses on fresh ingredients and unexpected flavor combos. 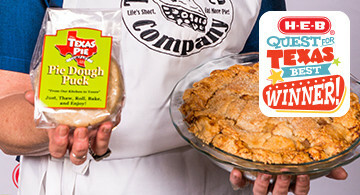 Learn more about each year's top winners and their Texas best products! Using the best local products on hand, Skull & Cakebones presents a truly Texas-strong dessert—Mocha Marmalade Chocolate layered with Cuvee Coffee frosting and topped with Cuvee infused chocolate pudding. Using pecans from Texas growers and a homemade crust recipe, Texas Pie Company's Pecan Pie has been the number one seller for over 25 years. And it's now available at your H-E-B store! 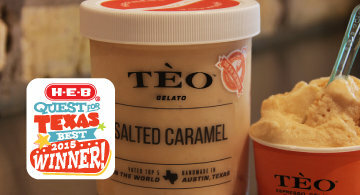 Each creamy creation of TEO Gelato starts with local, market-fresh ingredients and a homemade base from scratch. 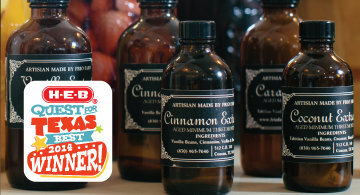 Frio Farms Artisan Extracts are prized for their full, rich flavor and incredibly smooth aroma.